Democracy is based on the notion that a people should be self-governing and that the representatives of the people be held accountable for their dithering, actions and inactions. For stability and good governance to be achieved, some degree of cooperation and understanding amongst the three arms is expected. Chambers 21st Century dictionary defines legislature as that part of government which has the power to make laws, while the Blackwell Encyclopedia of Political Science defines legislatures as political institutions whose members are formally equal to one another, whose authority derives from a claim that the members are representative of the political community and whose decisions are collectively made, according to complex procedures. John Stuart Mill wrote that in a representative democracy, the legislature acts as the eyes, ears and voice of the people. According to him, “the proper office of a representative assembly is to watch and control the government; to throw the light of publicity on its acts, to compel a full exposition and justification of all of them which any one considers questionable, to censure them if found condemnable. The legislature which represents the people and acts as their agent is therefore essential to good governance. The legislature is primarily, a lawmaking body not boxers or fighters arena where they will be throwing chairs at themselves and has intrinsic link to the people through representation. The legislatures operate under a system of collective decision making. They adopt policies and make laws through the process of deliberation and are the bedrock of good governance. But now the reverse is the case, our lawmakers here in Nigeria today have turned themselves into street fighters and turned the red chamber of lawmaking body to ring, resulting into public fracas. AU their deliberations in office concern how to favour themselves through passing motions on the floor of the House instead of passing 2018 Appropriation Bill that will make meaningful impacts on Nigerians. And, we hope that our honourable members of parliament will take on the gauntlet of being genuine collaborators in development with us in good faith because it is only when there is such synergy, peace and harmony that our programmes and policies can enjoy meaningful passage through the legislature, devoid of bureaucratic hindrances or bottlenecks. 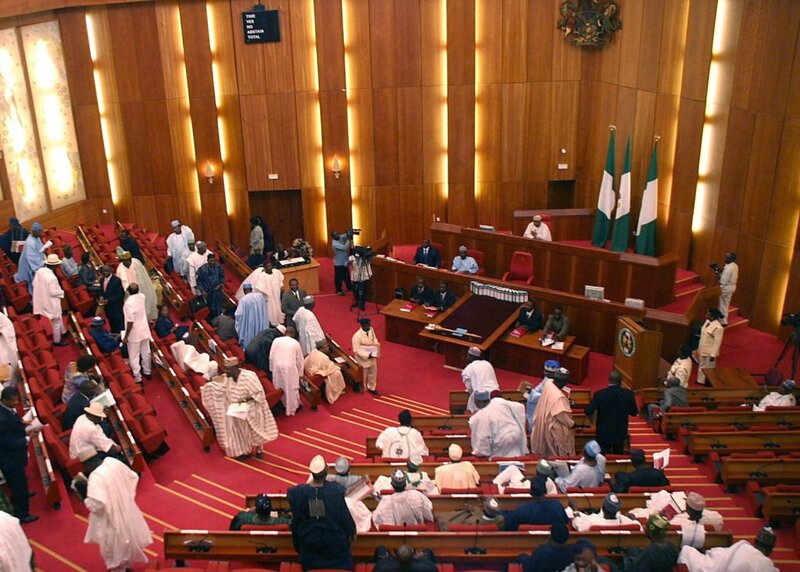 Before the inauguration of the 8th National Assembly, there had already been calls for transparency and reduction in funding for the lawmakers who rank among the highest paid in the world. According to ‘The Economist’ magazine, our lawmakers earn around $160,000 annually based on current exchange rates more than British lawmakers. While the lawmakers earn so much, Nigerians survive on the N18,000 monthly minimum wages, even though it is so difficult for some states to pay that amount, I can authoritatively say that most of the states could not pay that N18, 000 monthly minimum wage as at today but our Legislature can take home N13 million as monthly allowance. How can we possibly justify this waste in an era when both the federal and state governments cannot pay their workers and when the country owes so much money both domestically and internationally? What is playing out in the National Assembly is certainly not the change Nigerians either wished or voted for. Nigerians did not expect that their elected representatives will always bicker over the passage of Appropriation Budget despite our age on this democratic dispensation. Orunbon writes from Oke-Posun, Epe, Lagos State. What’s wrong with the looters’ list?